Superior Dual Laminates, Inc is led by longtime CPF Dualam and Prolite Plastics Ltd Engineers and Partners Guyle McCuaig, Greg O’Brien, Enrique Ginocchio and Ivan Tam. Having been Pioneers since the 1970’s in Dual Laminate Design, Fabrication and Standards for 40 years in North America, Europe, South America and Asia we bring have one of the World’s Premier Dual Laminate experienced teams in the Dual Laminate equipment business. Our successful innovations have revolutionized the corrosion equipment business and we remain an important contributor to the ASME RTP-1 Dual Laminate M-12 Appendix, The writing of the new ASME NM-3 Dual Laminate pipe appendix, The European CEN committees and the evolution of new Dualam technologies through the Materials Technology Institute MTI and The American Welding Society for Plastics. 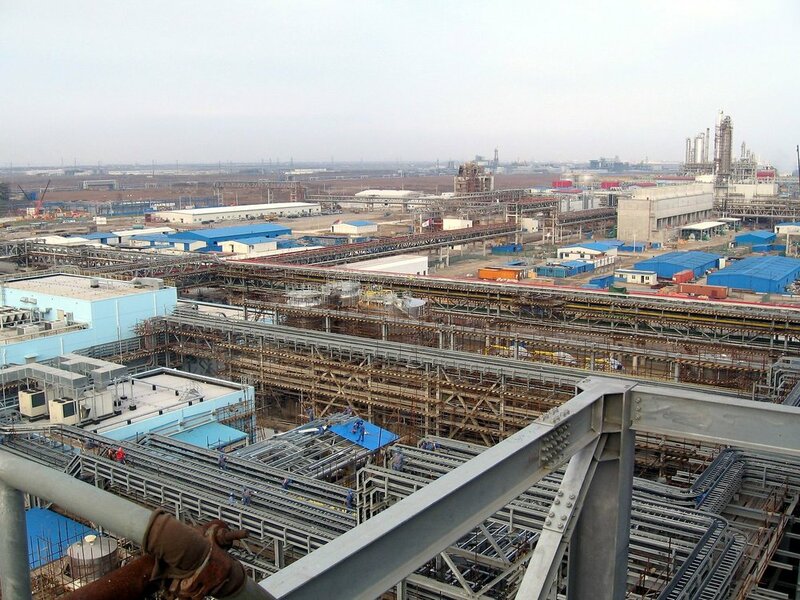 Industries served include the Chemical Process Industry, the Electrochemical Sodium Chlorate and Chlorine Dioxide manufacturing business, and the Hydrometallurgy field. Our case history list reads like a Who's Who of industry leaders. Over the years, Guyle and Greg made sure we kept firm to our Thermoplastic welding roots. We realized that expertise in welding was really the key to successful thermoplastic liners. 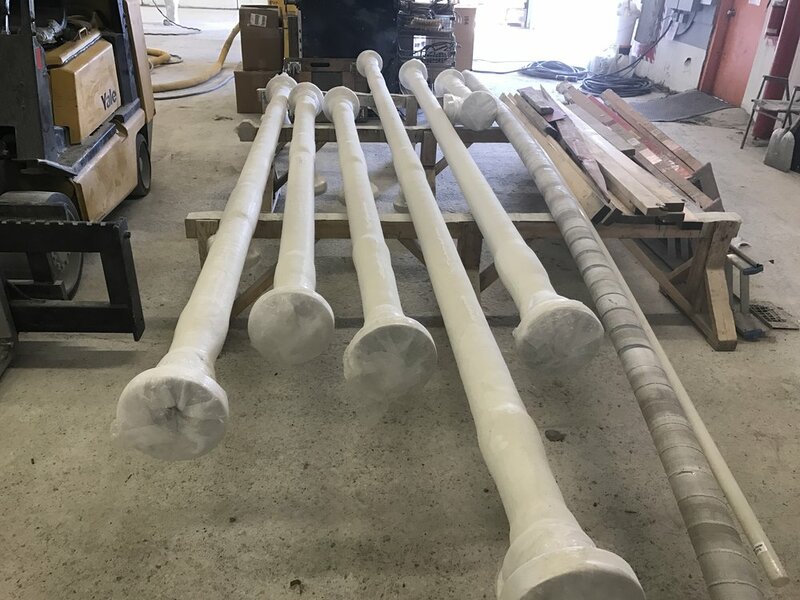 Over the years we have been the first in our industry in North American with every type of welding from Flow Fusion of fluoropolymers to Servo-mechanical thermoplastic pipe fusion to Thermoplastic embedding of liner tube and are internationally acclaimed for several patents and techniques. And in the partnership with Electro Chemical, the company has found the ideal ally to branch into the lined steel marketplace. A company who values craftsmanship and service as much as they do. To learn more about the alliance between Superior Dual Laminates and Electro Chemical, please click here. 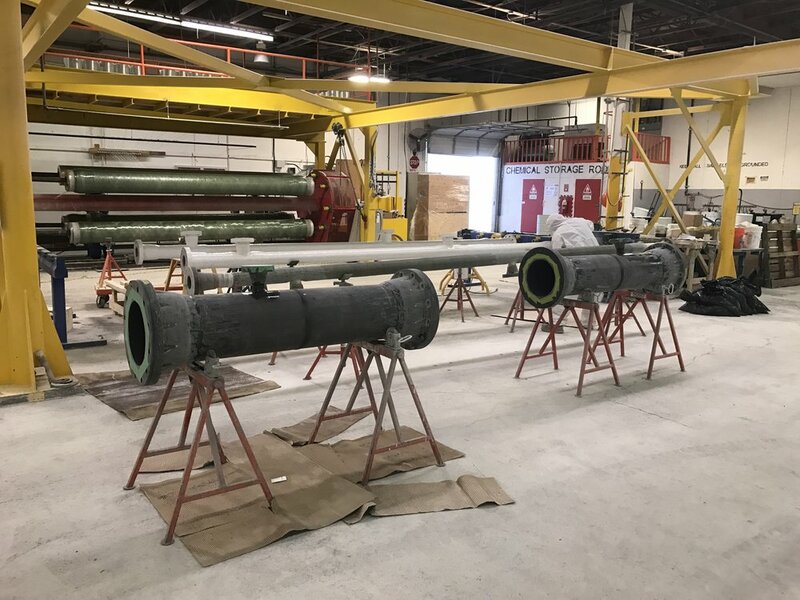 The AWS and CEN trained welders at Superior Dual Laminates are well-experienced and fully certified to apply a complete suite of thermoplastic liners- vinylchlorides, Polyolefins and Fluoropolymers to manufacture your Dual laminate tanks, pipes, and equipment. With our welding expertise, you can be assured our Lining solutions using thermoplastic sheet and Liner Tube Program using confidential SDL chemical bonding and multi-faceted fabric Embedding processes will deliver the quality, reliability, and longevity you expect. Don't settle for limited inventory and skill sets. Get any liner you need, all at the same shop! Wherever your company is located. However your engineering plans are specified. No matter what language you speak. Superior Dual Laminates can read your plans, create your liners, and deliver the corrosion protection you desire. We're equally comfortable running Metric and English computations. And we have a solid inventory on-hand to match European specifications. Millimeters or Inches. We make them both work! The team at Superior Dual Laminates has been blazing the tech trail for lined FRP equipment for over 40 years. We wrote the book on Dual Laminates. From new bonding and fusion techniques, to delivering the first vacuum-formed liners, to establishing QC protocols, Superior Dual Laminates continues to create the most effective techniques to improve your equipment's performance and service life. The group at superior dual laminates has been protecting frp assets for over 40 years! call 1-604-944-6260 to learn how! Superior Dual Laminates is delighted to announce that Electro Chemical Engineering & Manufacturing Company (Electro Chemical) has partnered with them. Long known for its outstanding work in delivering fluoropolymer-lined steel tanks and equipment, Electro Chemical is very choosy when it comes to picking allies. They focus on outstanding workmanship and awesome customer care that extends beyond the installation of the equipment. If they were to ally with someone, it needed to be a like-minded company. Fortune smiled, and they found one in Guyle McCuaig,Greg O’Brien, Ivan Tam, and their team at Superior Dual Laminates. Now, with this partnership, chemical processing companies around the globe have a single resource to tap for ALL their lined equipment needs. Imagine . . . no more multiple FRPs . . . no more culling through dozens of 10-pound proposals . . . no more having to integrate engineering solutions from 4 different providers onto your job site. No more figuring out who to call to service the equipment 3 years from now! The History of Superior Dual Laminates Inc./Troy Dualam Inc.